Congratulations to our Wifi Thermostat Giveaway winner, Larry from Vandalia! 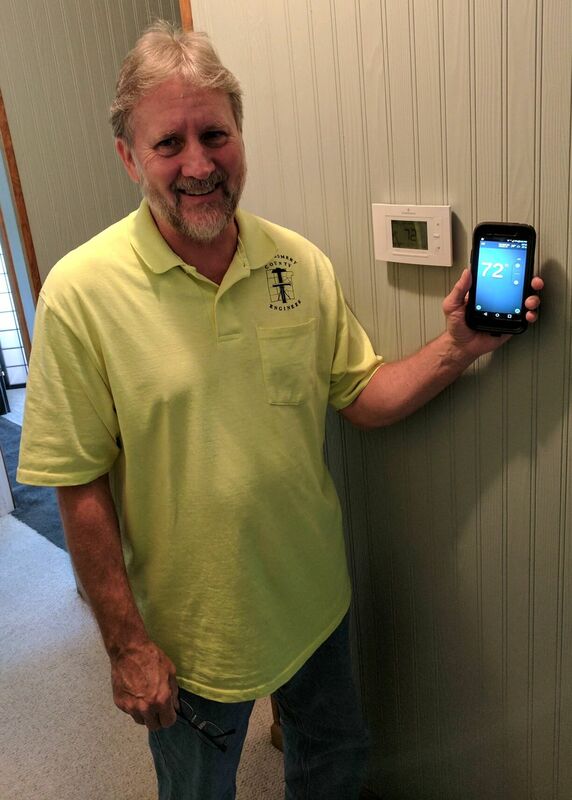 When we asked Larry why his home would benefit from a wifi thermostat, he told us, “My wife and I travel, and we always come home to either a hot or cold house. We would love to install a wifi thermostat to solve this problem!” Larry received his new thermostat yesterday, compliments of Logan Services. In addition to all of the benefits the new thermostat will bring, Larry is also able to file for a rebate of up to $50 with Vectren for his new qualifying thermostat! Enjoy!